Today we are celebrating the launch of our brand new website. The link to the new website is here. 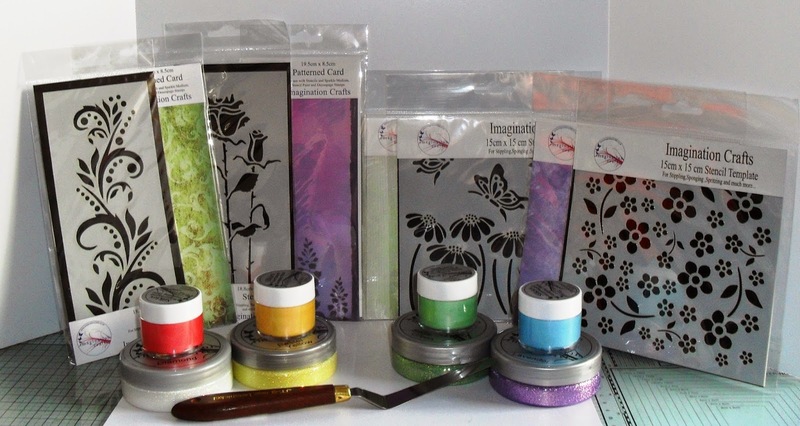 How are you all today and have you managed to craft. 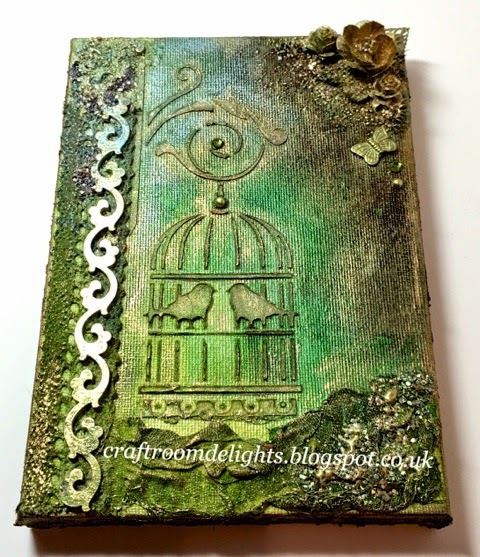 Today we have Samantha Wade's sharing her canvas tutorial with you all. 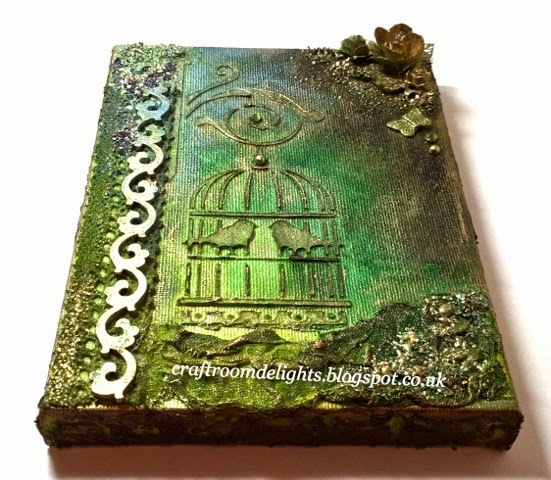 Mixed Media is huge at the moment so I thought I would show you my take on creating a canvas. 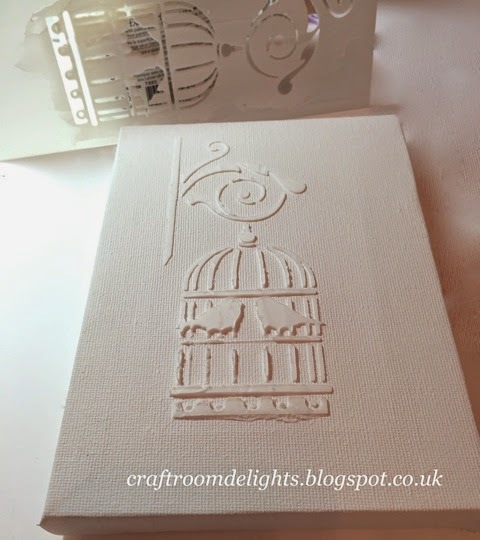 Using a 12.5cm x 18cm canvas, add Gesso for a base coat. 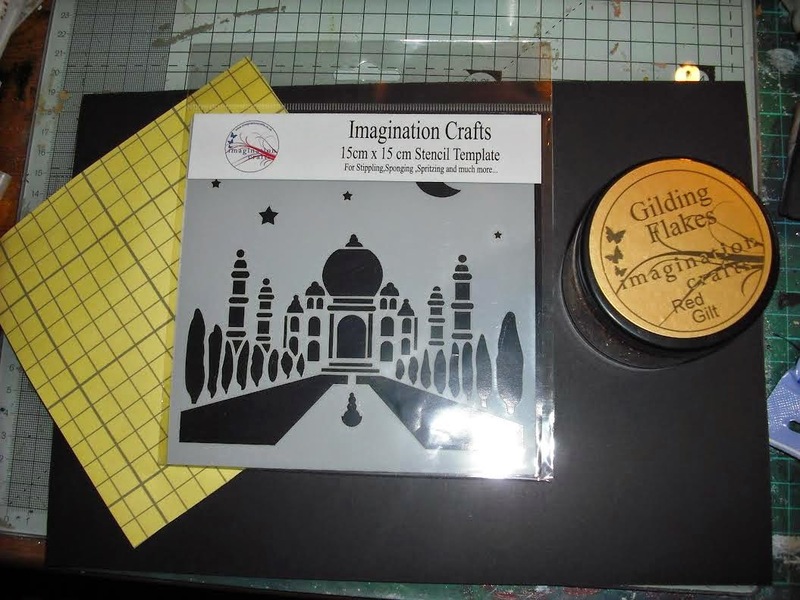 The panel stencils from Imagination Crafts are perfect. Added texture with scraps from your stash. I have used lace, cheesecloth, chipboard and flowers glued on the a coat of Gesso over them all. then spray inks in shades of blue, green and brown to add a shimmer to finish. 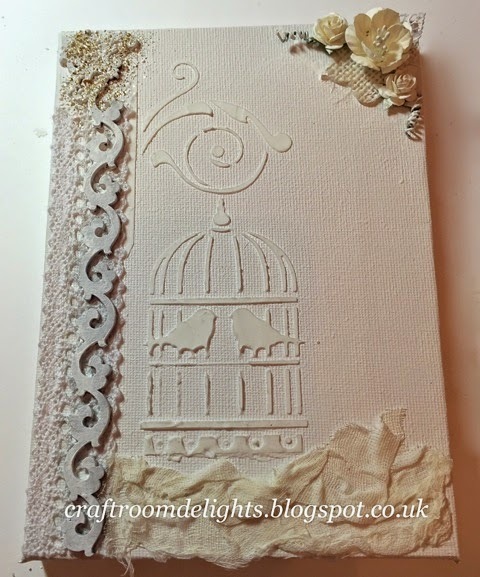 To finish, highlight the cage, chipboard and embellishments with gliding wax. Isn't this fabulous! If you do have a go, please share on our Facebook Page so we can see. We are at the NEC for the Trade Show until Tomorrow! Monday already, we sure hope you enjoyed your weekend. 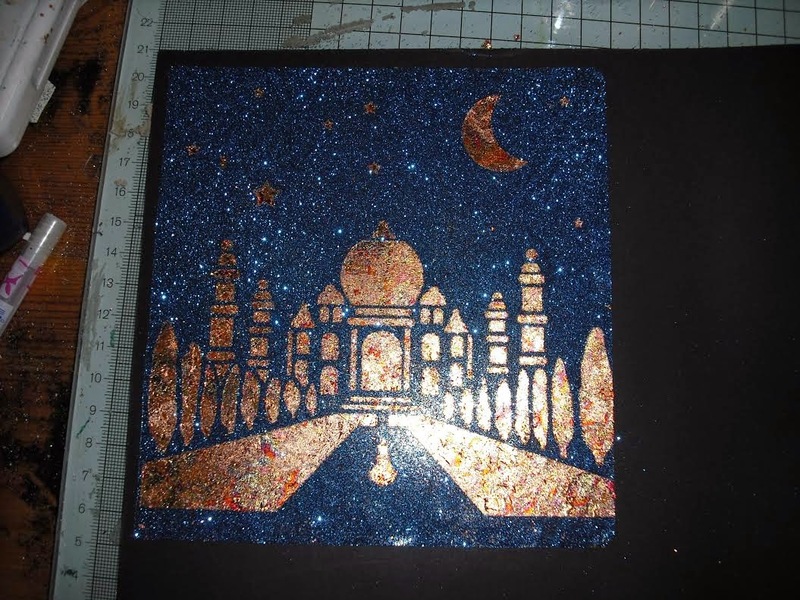 Today we have a beautiful card tutorial created by Rachel. 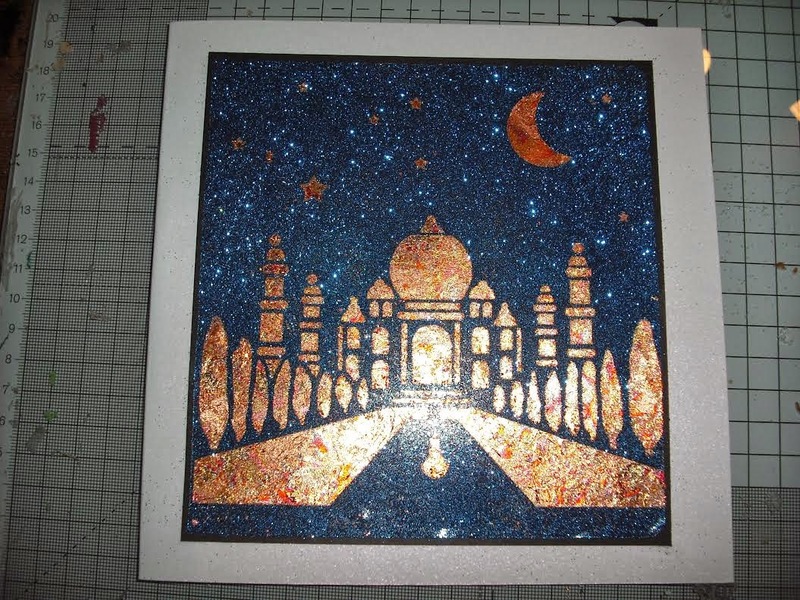 Collect together the Taj Mahal stencil, gilding flakes and double sided sticky paper. 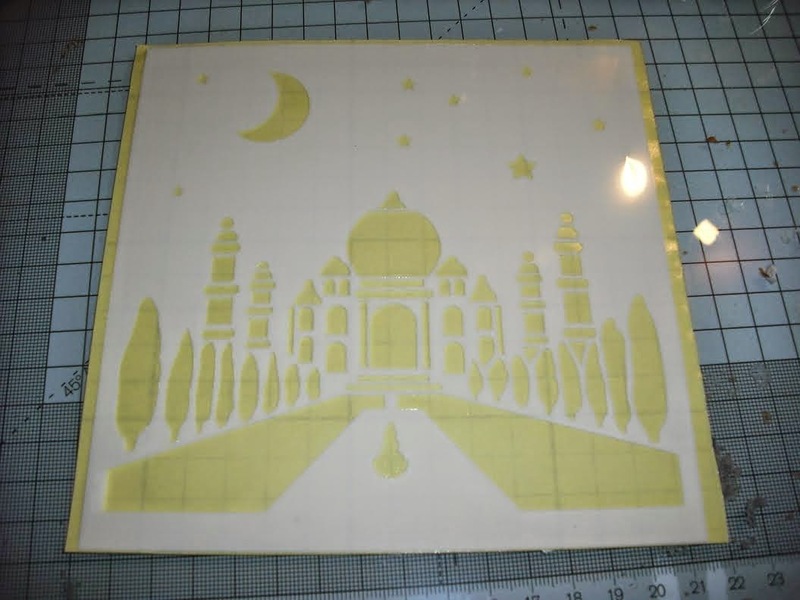 Pull first side off the sticky paper and apply the stencil. 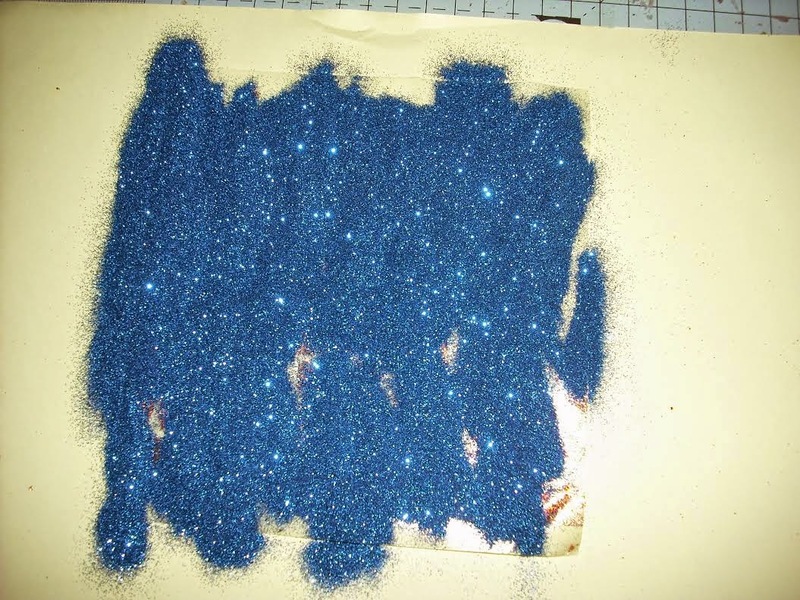 Add the flakes and rub until shiny using a piece of foam. 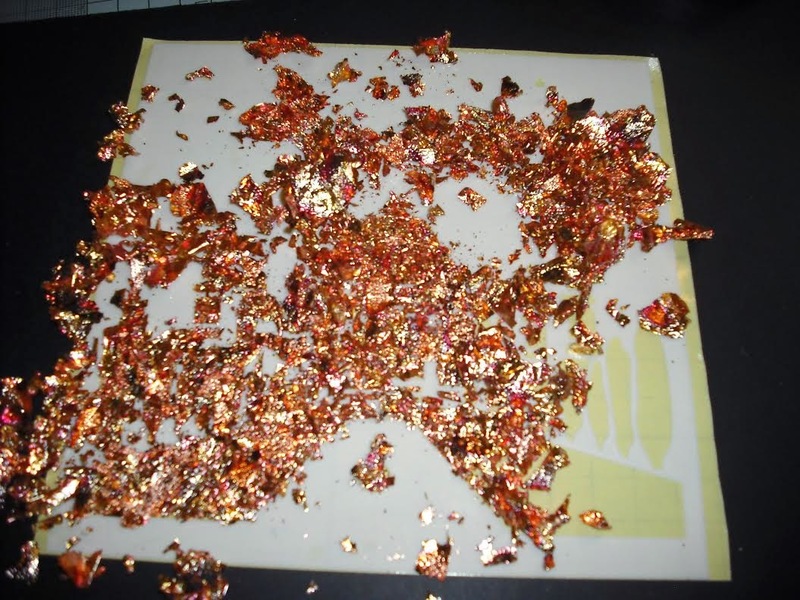 Remove excess flakes back into a container. 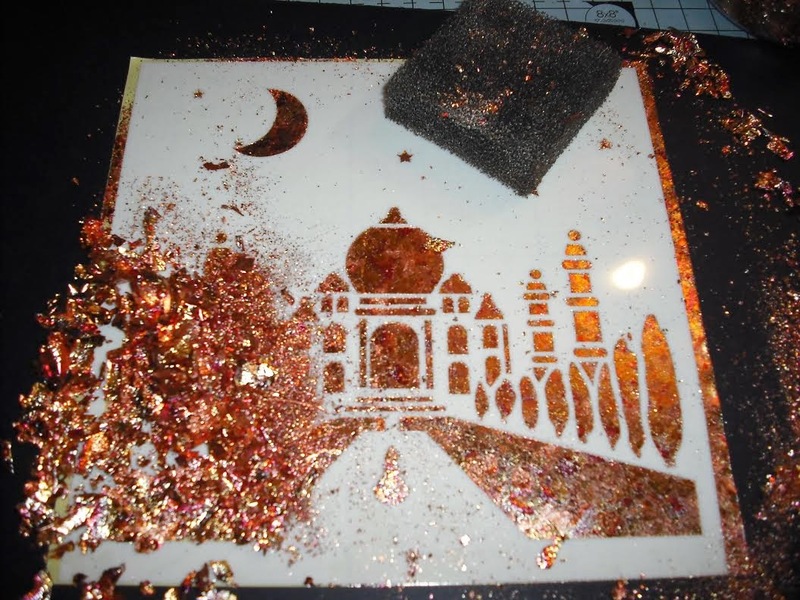 Add Glitter too the sticky parts - alternatively you could add sparkle medium. Remove the second side of the sticky paper and position over black card leaving a border. 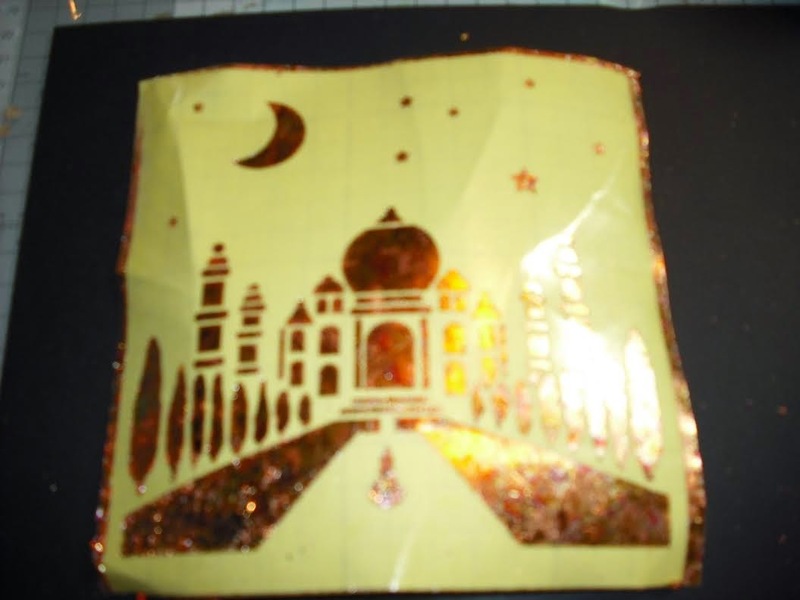 Mat and layer onto your card.